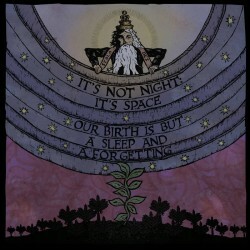 Guitarist Kevin Halcott and drummer Michael Lutomski founded It’s Not Night: It’s Space early in 2010. Crammed in a small, smoky bedroom, they tapped in and jammed, compelled by chemistry to push forward. By that Fall, Tommy Guerrero had joined on bass and the band dropped two self-releases by 2012. The first EP arrived in October 2011. East of the Sun & West of the Moon featured three epic instrumental pieces that set the tone for what to expect from INN:IS. Positive response came in virtual and physical realities, and the band set about honing their craft, averaging about 50-60 shows a year. Momentum carried them straight into their first LP, 2012’s Bowing Not Knowing to What, self-released with the help of successful crowdfunding raising $5,000 to press CDs and vinyl. It was this album that caught the attention of Small Stone Records. 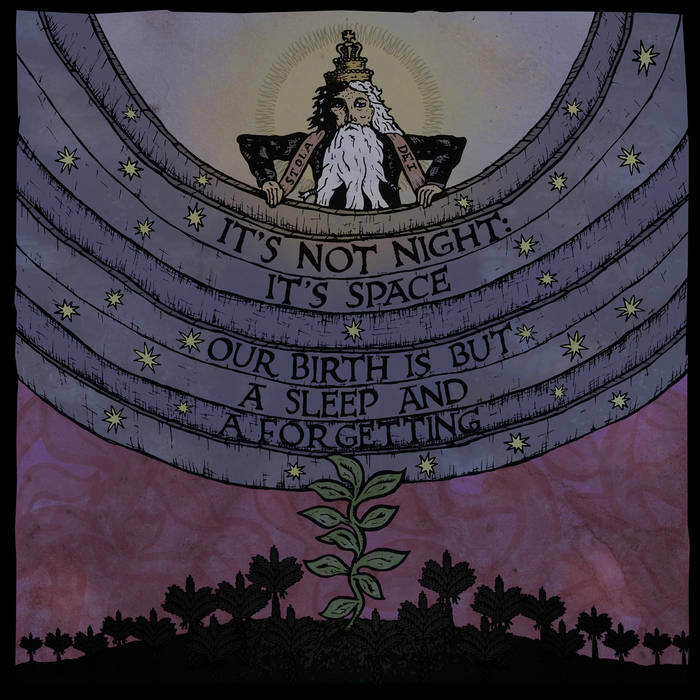 A series of roadblocks and personal setbacks after the first album set the tone for their second album, Our Birth is but a Sleep and a Forgetting. In moldy warehouses, grimy basements, and the dusty backrooms of pizza shops, the trio channeled new material and worked tirelessly to craft the songs that would become a definitive offering. It became a full-time task. Our Birth is but a Sleep and a Forgetting rings both familiar and fresh. Longtime fans should have no trouble getting down with the heavy grooves and climaxes of these sonic journeys, but the band has pushed into dreamier territories as well. The long wait to share this very personal and powerful album is finally over, and It’s Not Night: It’s Space is ready to get back on the wave and ride it forward. Rick Birmingham: fiddle on tracks 2 and 6. Produced by Rick Birmingham and It’s Not Night: It’s Space. Recorded by Rick Birmingham at Castle Alamut and The Tin Roof.